and welcome to Gadomancy, a gadget-mod for Thaumcraft 4. This mod contains some very useful and unique features to enhance your Thaumcraft experience. Additionally, we're focusing primarily on automation and adding choices to make Thaumcraft more feasible for multiplayer servers. Another part of my mod is an API for other developers to easily add their own golem cores, something that Thaumcraft 4 left out for the modders for some reason. So, if you're a developer and interested in that go ahead and read the API section. NOTE: In 1.0.6+ we added potion effects and enchantments! Check the configuration file for id configurations! Version 1.0.6.1: Code-wise configuration changes. Update if you're having issues that the enchantment or potion id's are not configurable for some reason! Version 1.0.6.2: Language file changes. Adds a more understandable description to the Aura Pylon. Version 1.0.6.3: Fixed issues in connection with galacticraft and instability with potion & enchantment ids. An item that, after activated with a crystal cluster, scans its surroundings and changes its type according to the type of primal aspect that is found most. Or it indicates that the scanning process failed and it stays blank. Diffuses essentia into the surrounding area and things happen dependent on the aspect used. Compresses up to 9 items (the amount of each stack doesn't matter) into an arcane package. Right-click with the arcane package to get your items back out. The arcane package can be disguised as thaumcraft loot bag. The compression process can be started with a redstone signal. It needs pannus essentia or leather and strings to operate. An enchantment for your helmet. When used, it makes nodes visible, just like thaumcraft's "Goggles of Revealing". Infusion to make one armor look like another one. The process can be reverted. Option to open up an eldritch portal with a special multiblock and the cost of 4 eldritch eyes and a bit more vis than usual. Once entered, there is no exit until the eldritch maze is finished. A device powered by Ordo essentia slowly powering up, increasing range and essentia drain speed along with it up to its maximum range of 15 blocks and drain speed of 1 ordo essentia per second. Blocks protected by the Arcane Enervation Emitter cannot be destroyed by mods, no matter what mobs or however the blocks are modified/destroyed. It also stops Slimes from destroying farmland and stops creepers from exploding. A arcane Follower thats flying around you and helps you defeting your daily foes. You can even upgrade its damage, attack range and attack speed! Basically it does what it says here, attacking things that attack you. Targeting is similiar to the Minecraft Wolf. Will teleport to you if he is too far away. Rightclick to make the golem "sit". Allows random manipulation of an aura node for the cost of 70+ Vis. Some unknown results may appear that even the wisest thaumaturge doesn't know yet. Multiple Jars will exchange their essentia and try to keep an even amount. Right click on another jar to create a new network. If the placed jar is already linked then the item will be bound to this network. Shift + right click in the air to clear the network. Hover over it with a wand (Without Focus) to see its range. All the dropped items in this range are part of the inventory of this block. You're only able to extract/insert items from the flat sides of the block. The block has no gui. You're now able to place rotated jars! Stats are simmilar to wood golem. Runic Shielding for your golems! Does not use any kind of vis. Extra effective with Silverwood golem. or the mobs that you attacked. The golem behaves similiar to a wolf. This core will allow your golem to break marked blocks. (tipp: use an entropy upgrade to ignore metadata changes on tools). If you add a block to the golems inventory he will only break the specified block. Breaking speed depends on strength and tool speed. and it will store all your knowledge even if you're offline! the check box in the gui, you're able to extract empty wands only. It will not accept redstone signal from top or bottom sides. But this process will add instability and use vis from the wand. You should always use a good wand otherwise you'll get alot of instability! and this will not drain vis from the wand. - If you think we have to add a specific feature or change something just post that on Github too. Infusion Claw: You can add your own behaviors to the Infusion Claw. Feel free to use my mod in private modpacks but if you're using it in a public modpack please write a pm and you're good (: (you don't need to wait for an answer) and for public modpacks you need to include a link back to this project page. And of course your not allowed to monetize this mod in any way. Hi HellFire!! I just upgrade to 1.0.2 and problem solved! Thank you for your promptly answer! Can i use it in my ftb modpack? Please read the "Modpack policy / License" section. I am incredibly impressed by this mod so far. Even though it is still in beta, it has the potential to grow into something quite extraordinary. I have some ideas that are related to the items that are already in the mod. I don't know about viability in terms of implementation, but I hope they are at least interesting. The arcane dropper is arguably the best item this mod adds so far. The ability to register and monitor dropped items in a certain space as though in an inventory adds huge automation capacity for mods like Botania and Aura Cascade, which have heavy reliance on GUI free crafting and processing. 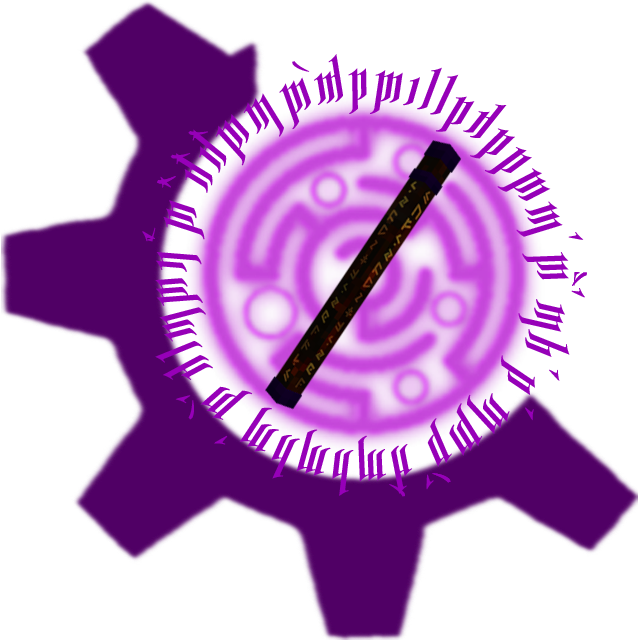 From that perspective, I would suggest an advanced version of this device which can also detects items inside other GUI free devices like the Botania's runic altar and botanical brewery. With regards to the infusion claw: (this may also qualify as a thaumonomicon entry for said device)If a wand can be animated for the sake of activating an infusion altar, why not a wand focus? A few adjustments to the infusion claw, and you have yourself a Focus Activator. Just place a wand focus in the left slot and a staff or wand in the right slot. When the device receives a redstone signal, it will activate the wand focus in the direction it is facing. There are a few limitations to this device, however. Despite the fact that it can face in any direction, it can't receive a redstone signal from the side that the focus activates on or the side opposite. Also,the device only remains active as long as it receives a constant redstone signal. Just like its predecessor, the infusion claw, the focus activator can't accept a scepter of any kind. The Golem Core: Break almost seems like a common sense item that should be a part of vanilla thaumcraft itself. That said, it is impressive nonetheless. My last suggestion involves the possibility of other golem cores utilizing tools, such as a Golem Core: Archer to allow golems to wield the bone bow and/or a Golem Core: Soldier that allows a golem to wield a sword and act as a bodyguard for the player. On the note of creativity, the above weaponized golem cores could have a negative effect on advanced golems, causing them to revolt against the player. Sorry if this response is a bit wordy, but I really want to be as clear as possible. The possibility of other golem cores utilizing tools, such as a Golem Core: Archer to allow golems to wield the bone bow and/or a Golem Core: Soldier that allows a golem to wield a sword and act as a bodyguard for the player. While I agree with your previous suggestions, I'd like to swap things up if the authors were to add these into the mod. As your note on a 'bodyguard' suggests, I assume you mean a golem that could follow you around, otherwise you would just be superseded by the golem core defend. There are numerous issues with using anything that incorporates AI to move to follow the player. Specifically, golems are not built to handle environments that players enter into. I feel that it would fit better as a golem entwined with an amulet, giving basically a turret built into the player. Like i mentioned above, I have no clue how well my ideas could be implemented, as I am not a mod developer myself. That golem amulet idea does seem like an excellent alternative to a bodyguard golem. However now that you mention the defend golem, I think need to revisit my ideas a bit. sentinel/turret-like functions as well. The archer aims to fix the accuracy problem of its predecessor, and focus on ranged combat. For the soldier golem, I intended something like a more advanced defender that could wield weapons and last longer in a prolonged fight, possibly by having the core itself add some forms of damage resistance and/or greater speed not covered by the normal upgrades. The soldier was meant to replace the defender as an advanced strictly melee golem. I do have a questions about your golem amulet idea. Would it render a golem sitting on the player somwhere? I was thinking it might have options for both range and melee, acting essentially as an extra set of eyes on the back of the wearers head, shooting things nearby and directly smacking anything close enough to touch the player. Also, what golems would be allowed to be made into said amulet? Would there be a possibility of other support functions such as an early warning notice of approaching mobs as well? I really like your amulet golem idea, and i really appreciate your feedback. First of all thanks to all of you for your great response! 2. Automatically casting a Wand is a good idea. I will probably implement something similar but first of all i need to finish the stuff I'm currently working on. 3. Mmmh i already thought about a Golem Core: Bodyguard that follows you maybe I'll add that in the future. But i don't know if I'll add a golem core that can use actual Weapons. This seems quite op for a golem. I need to think about that. I like your idea to add an amulet that damages your enemies. Maybe I'll implement something. But the main problem with that is that HellFire and me are "texturing noobs" so this might be the biggest problem. Also, if you still need thaumonomicon pages, I'd be glad to help. 3. "slowing time" is actually harder than it looks. And if we do that things might start to bug. It's hard to make that compatible with all mods around since for example a machine that's not slowed interacts with an entity that's slowed. What should happen? What will machine XY do to mob AB - we don't know how these mobs and machines work or what they might do. If we slow the ticks they get they might start to bug out or might even crash the server. So overall that response can be counted as a NO, because slowing time for machines and entities is just too risky. 3. "slowing time" is actually harder than it looks. Mods have been able to slow/speed up time for ages. A good example is Torcherino. as far as i know torcherino is only able to speed up blocks but not slowing them down. And even if it is possible to slow down blocks it might be quite difficult because i have to prevent mincraft from calling the onTick method. Apply more speed is quite easy tho because i can just call the onTick method multiple times. Maybe me and HellFire will look at this at some point but currently were both developing on other new features for the mod. But thanks for your suggestions and comments!